Location: Datong Yungang Airport is about 9.5 miles (15.2 kilometers) to the north of the city center and about 21 miles (33 kilometers) from the Yungang Grottoes. Brief Intro: Equipped with three parking aprons, the new terminal building covers about 9,807 square yards (8,200 square meters). It is the second largest civil airport in Shanxi Province. Currently, the airport operates 12 air routes to major cities in China. There are already 16 destination cities, bringing a lot of convenience for passengers. Flights heading for Beijing and Taiyuan are available frequently; for Guangzhou via Changzhi on every day; for Shanghai Pudong International Airport on every day, and flights for Tianjin are available on Monday, Wednesday, Friday and Sunday. 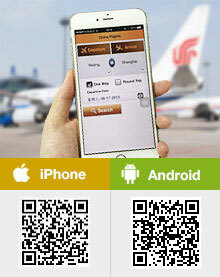 The new air routes contain flights to Baotou, Kunming, Chengdu, Xiamen, Harbin, Shenyang and Hong Kong. 1. In order to complete the boarding procedures in time, passengers should arrive at the airport 1.5 to 2 hours before departure time. The check-in counters are closed 30 minutes before flight departure. 2. If passengers do not have luggage, please check in through no-luggage counters. If one has an e-ticket, he/she may also check in via the automatic check-in machine. Left luggage service: Left Luggage Service is charged CNY5 per piece of luggage within 24 hours and CNY10 per luggage for more than 24 hours. Luggage Packing Service: CNY 10 per piece of luggage. Services such as parking, inquiry and lost and found are also provided at Yungang Airport. Transport between the Airport and downtown is convenient via the shuttle bus or taxi since the distance is not very far. After arriving at Datong Hotel, tourists can transfer to public buses to arrive at the scenic areas and traffic hubs. Take Bus no.17, and get off at 4th Bus Company. Then transfer to direct Bus no.3. Take direct Bus no.15 to go to the destination. Take Bus no.17 and get off at 3rd Municipal Hospital. Then walk north around 500 yards. Passengers can easily get to the city's downtown and some famous scenic spot by taxi from the airport. What would be the taxi fare to the Caves and the Hanging temple and back to DT for 2 adults and 2 kids?? how can I hire a car from Datong airport to hanging monastery for 1 day... any contact details? Hey, you can search online China Auto Rental. It is a trustworthy car rental company in China. I believe they will charge reasonably. great !! thanks a lot.. will look into it. Arriving 08.20 returning 21.00 hours. Is it difficult to get a taxi for the day visit to the yungang caves and hanging temple, and what is the cost? Taxi fare to Yungang Grottoes costs around CNY100 and takes around 1 hour. While taxi fares from Yungang Grottoes to Hanging Monastery cost around CNY90, and taxi fares from Hanging Monastery back to the airport cost around CNY120-150 and takes around 1.5 hours. I suggest you hire a vehicle for one day. Can I hire a car or van at the airport to go to the Yungang Grottoes, Hanging Monastery, then finally go to the hotel? Is there a counter at the airport that I can go to? I think you may hire a taxi at the aiport, but it is suggested to negotiate the taxi bus before you boarding. The taxi can be easily found outside the airport.